Consider an R.C.C. section shown in Fig. 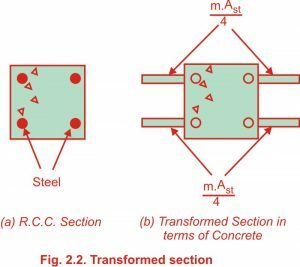 2.2(a) subjected to a compressive load P.
Therefore, the concept of modular ratio makes it possible to transform the composite section into an equivalent homogeneous section, made up of one material.